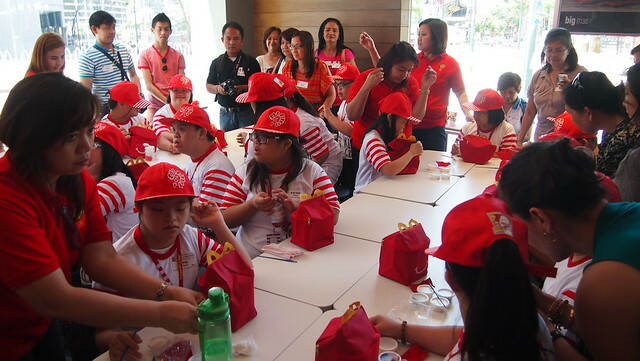 A Special Day With DSAPI Kids as McDonald's Kiddie Crew! 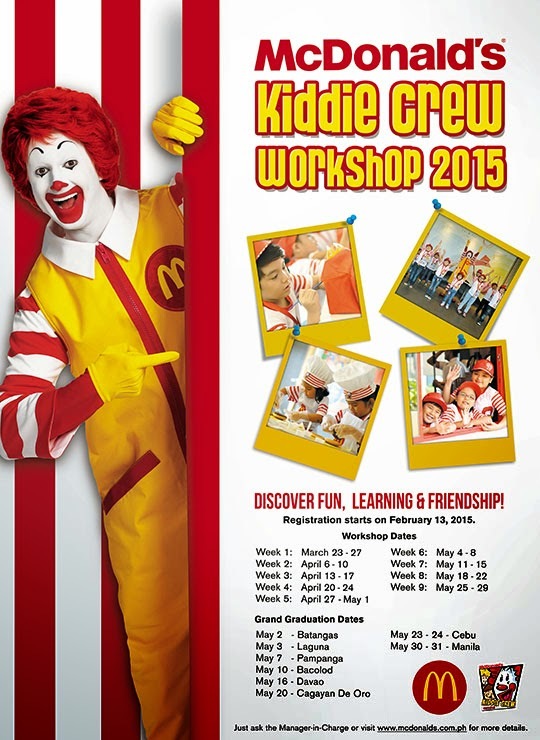 McDonald's is once again offering its annual Kiddie Crew Workshop this summer! This 5-day summer workshop is open to all kids 6-12 years old. 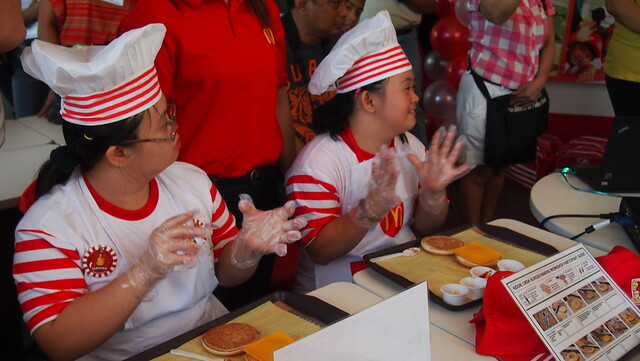 Did you know that this McDonald's flagship family program has been running for 23 years already? 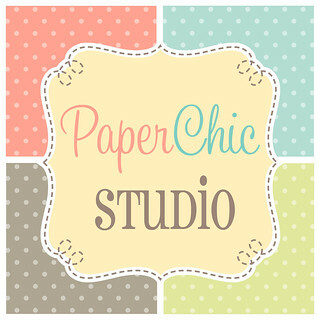 I've seen my cousins joined this workshop when they were younger and Y actually joined last year's Kiddie Crew even when was just 3.9 years old (read all about her Kiddie Crew stint last year here). This was Y last year around May I think. 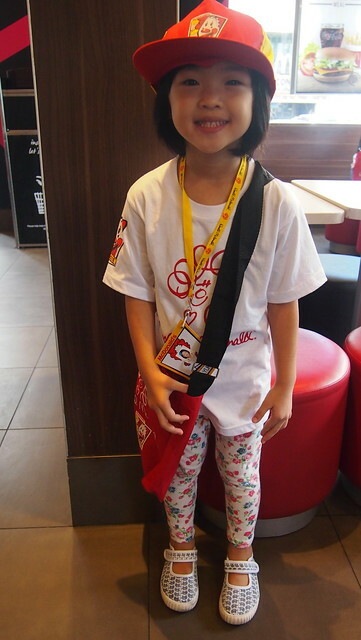 I will let her join this year's Kiddie Crew again some time in May with her cousin. 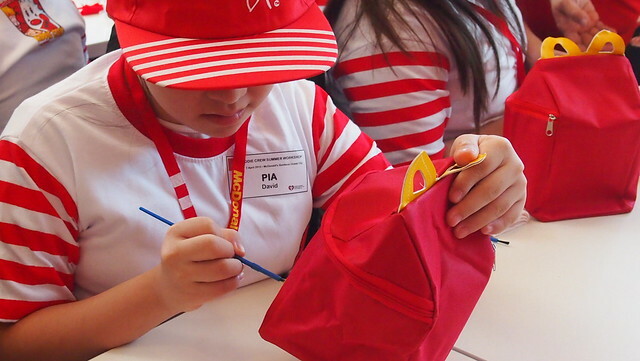 Fee for joining McDonald's Kiddie Crew is Php595 and that includes a limited-edition Kiddie Crew Workshop shirt, cap, bag, ID with lace, apron, chef's hat, artwork materials, completion pins, meals for all workshop days, and a certificate of completion. 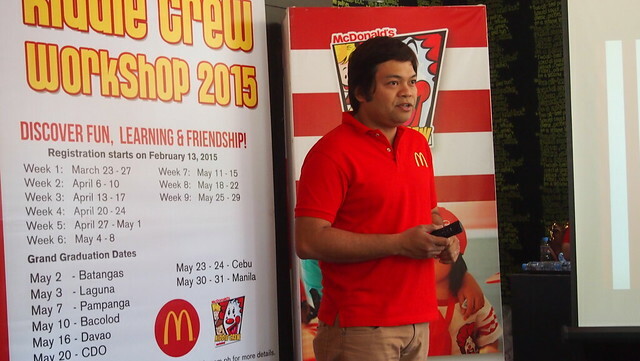 Mr. Fidel Balbieran, McDonald's Local Store Marketing Manager, welcoming us. 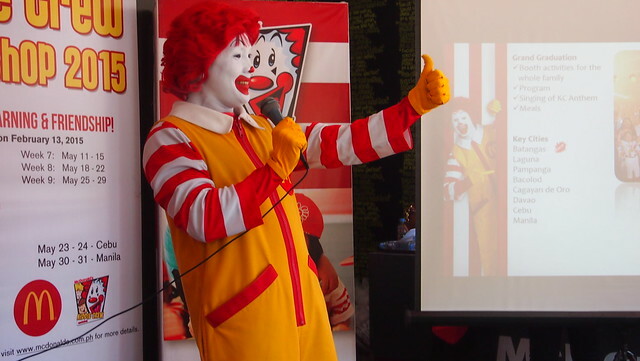 Ronald McDonald also came to join the fun! 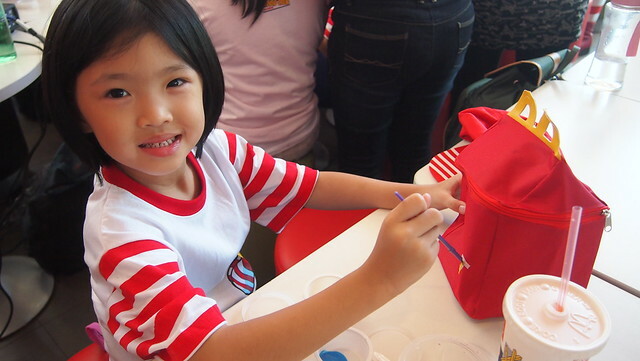 The Kiddie Crew Workshop aims to promote children's wellbeing through fun and enriching activities, they get to learn, develop skills, and make new friends. I saw how Y gained more confidence last year in just a span of five days. 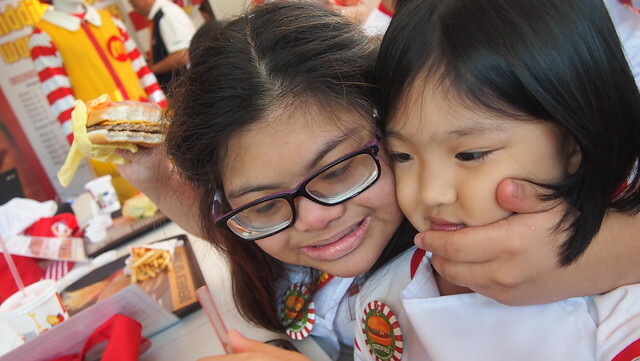 It really helped her adjust right away when she entered school. 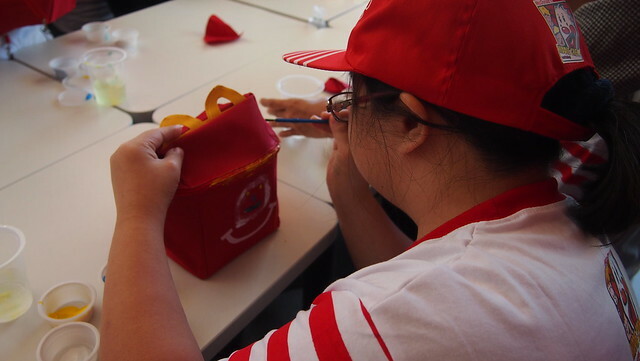 The kids got to do three different activities: Happy Meal bag painting, on-floor restaurant duties and Make-Your-Own Cheeseburger! Ang cute ng Happy Meal bag! Everybody took their time painting their bags. Everybody proudly showing off their work! 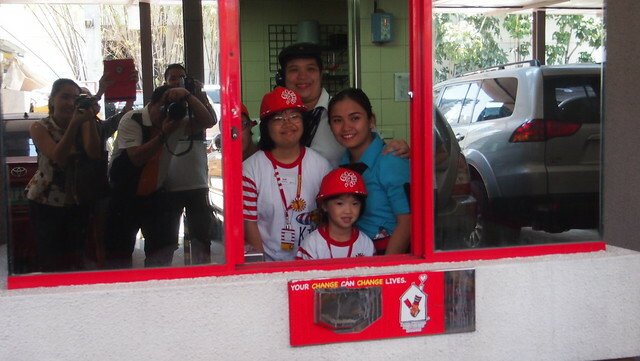 They got to say hi and thank you to every car in the drive-thru! 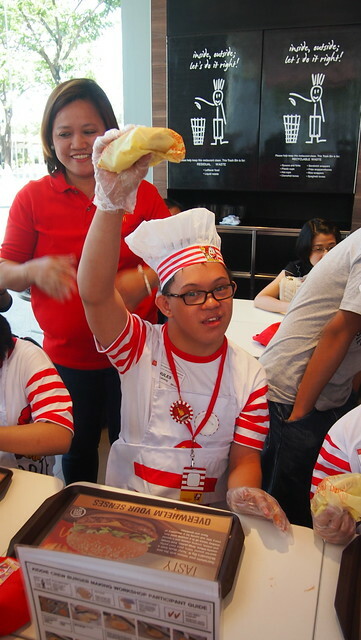 The kids also got to experience on-floor restaurant duties! 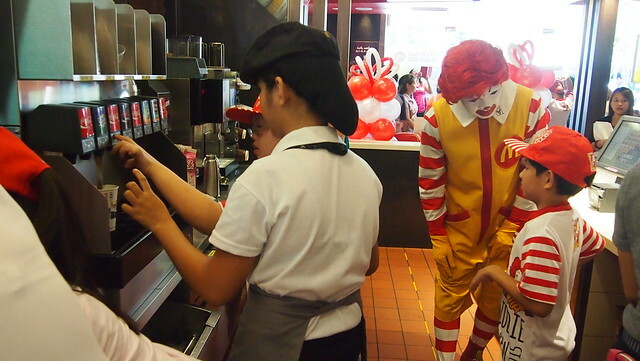 They got to take orders, punch on the POS, make sundaes, coffee, soda, serve fries and burgers with the help from Ronald McDonald and the McDonald's crew! I'm sure all the kids were thrilled to do this! All the ate at the counter were so patient with the kids. Y making sundaes and Diego making Cafe Mocha! And last but not the least, lobby activities! We said hi to every customer entering McDonald's! 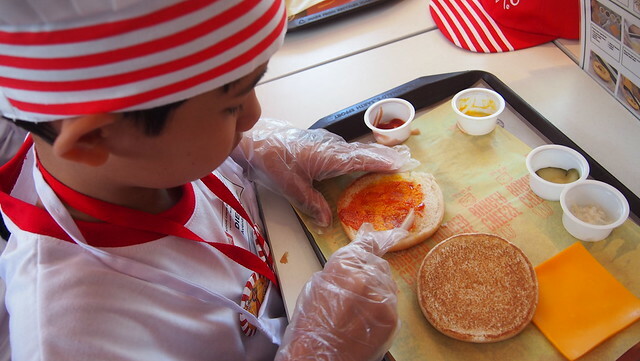 Last activity was the Make-Your-Own Cheeseburger! Each of the kids got a tray with burger buns, cheese plus the condiments. 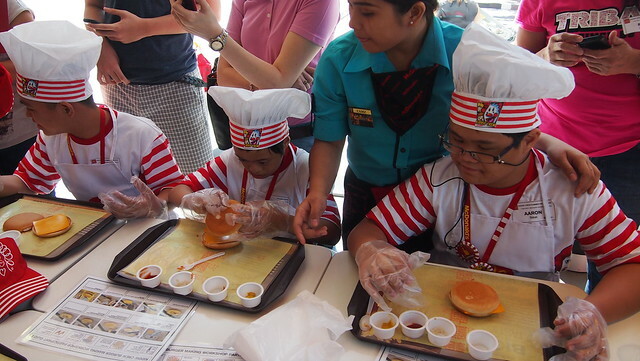 They also got to use their chef's hat and apron for this activity! Proud of his cheeseburger! Yay! And at the end of each activity, they get a completion pin! And they all got the 4 pins that afternoon! Hooray! 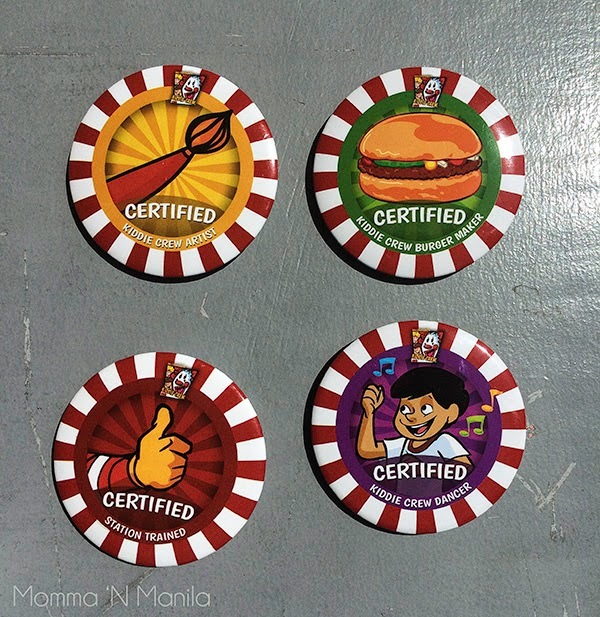 Completion pins! Photo from Mish. 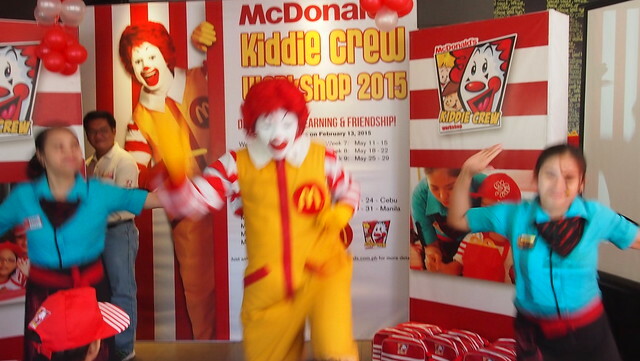 And to end the afternoon, Ronald McDonald danced for us! The kids who will join the Kiddie Crew will also learn this dance and the Kiddie Crew Anthem will be learned by the kids. Y still remembers the song ah! And nakaka-LSS! Heehee! Blurred haha! Sorry because they were dancing! 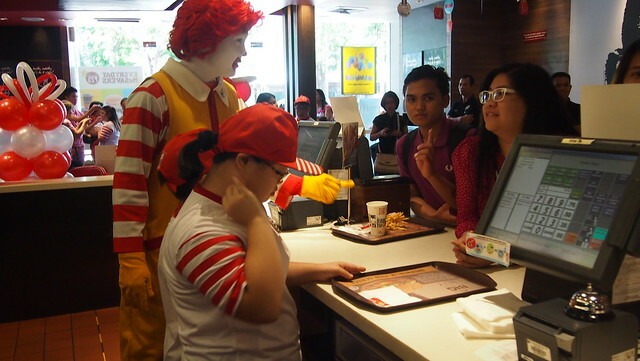 And before Ronald left, the kids had a photo with him! Oh my heart. I knew that this event would be heartwarming one but I never thought it would bring tears. 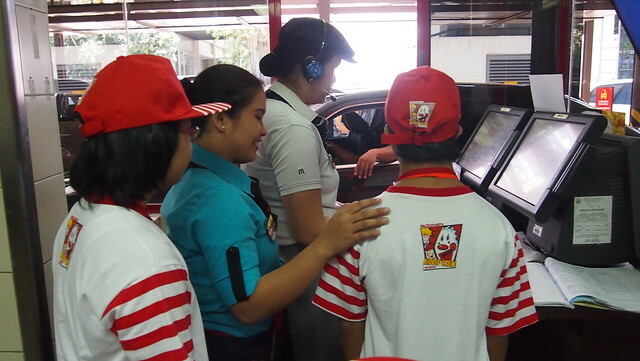 Seeing the kids so happy and game for everything at pinagaagawan nila si Ronald McDonald! Nakakataba ng puso. I am truly out of words on how to describe what a wonderful afternoon it was. But I know that the parents and guardians present that day are as happy as their kids! 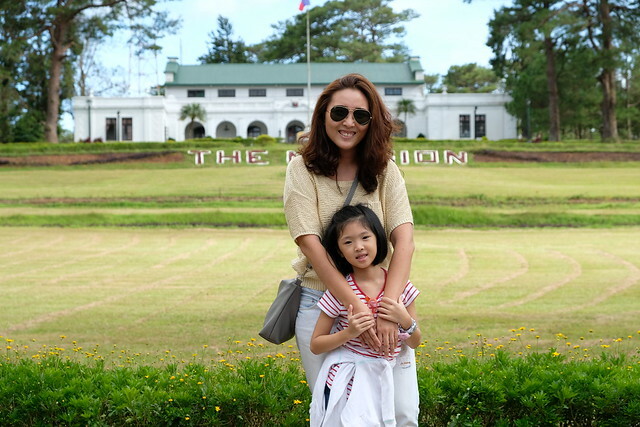 This was Y's seatmate, Kat-Kat! 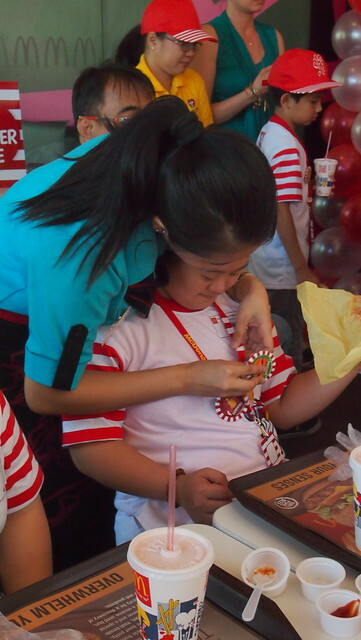 Thank you McDonald's for giving this opportunity to the SoMoms to share this great program with DSAPI! 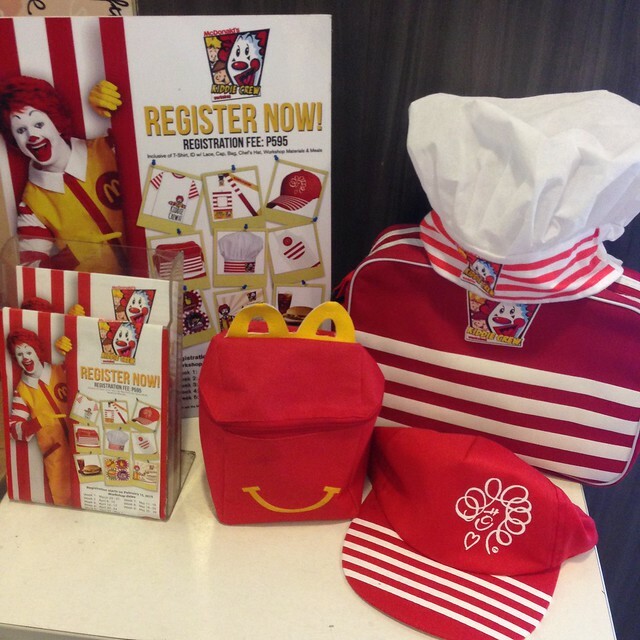 Registration is ongoing in more than 400 participating McDonald's restaurants nationwide! 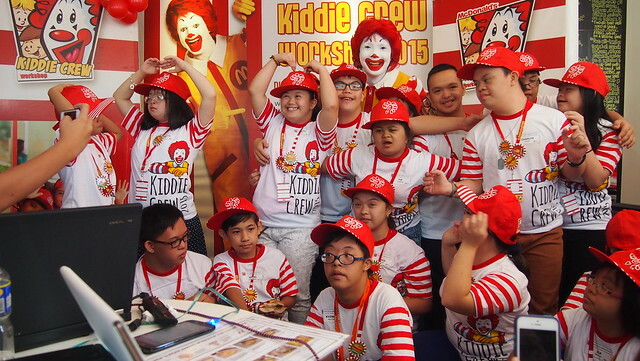 The kids’ completion of the workshop will be celebrated through a grand culminating activity, the Kiddie Crew Grand Graduation – a perfect bonding experience for the whole family! 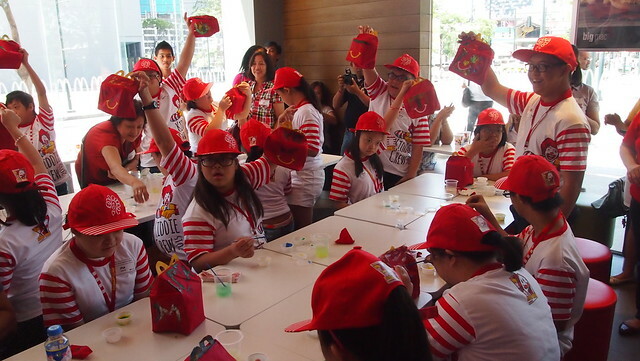 For more information, visit www.mcdonalds.com.ph and don’t forget to share your kid’s photos via Facebook, facebook.com/McDo.ph, Twitter or Instagram @mcdo_ph using the hashtag #McDoKiddieCrew.